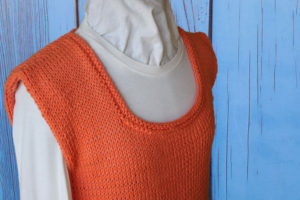 This knitting pattern is for an easy to knit sleeveless sweater that has a scoop neckline and a drop stitch hem. 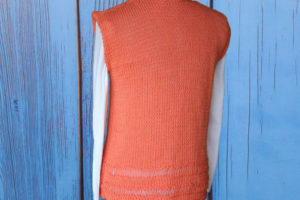 This pattern is for an advanced beginner to intermediate level knitter who is familiar with basic knitting terms and knows how to seam a garment together. 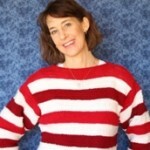 The yarn used to make this sweater is cotton yarn so it is perfect for warmer months. The yarn used in the photos is Hobby Lobby I Love This Cotton. It takes 3 skeins or approximately 440 yards of medium #4 weight cotton yarn. The needle size used is a US 9. 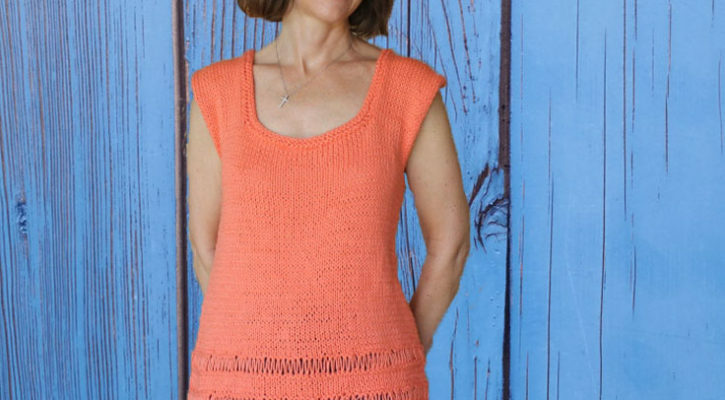 The stitches used to knit this garment are knit, purl, and yarn overs. 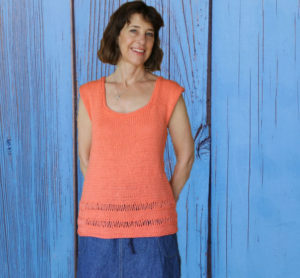 You will also need to be familiar with putting stitches on a stitch holder and picking up stitches to knit the neckline area. This pattern is sized for a small, medium or large. 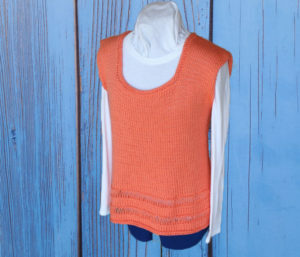 This tunic has an over sized fit to it and can also be worn layered with a shirt underneath or a tank top. The photos are of the small version.